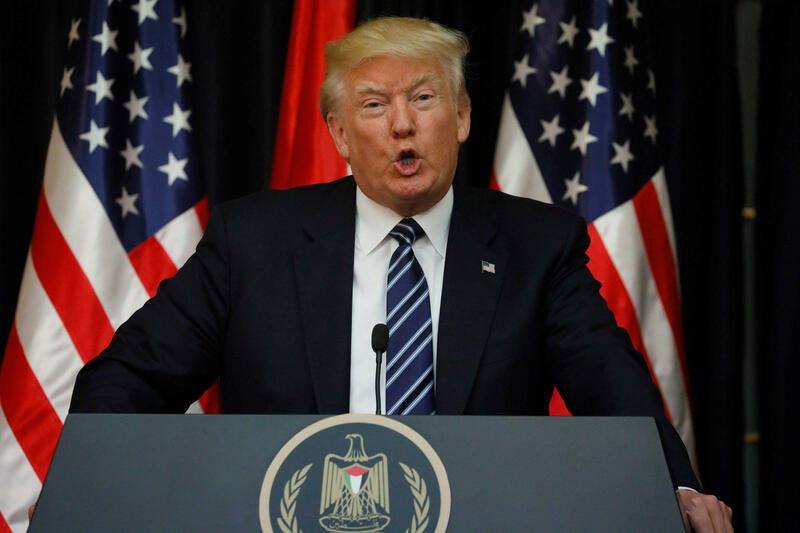 President Trump offered his "deepest condolences" on Tuesday to the victims of a suicide bomb attack on an Ariana Grande concert in Manchester, northern England, and ridiculed the bomber as an "evil loser." Suicide bomber attacks Ariana Grande concert in U.K.
Police have not said anything about the suspected motives of the lone male bomber. Police identified him as Salman Abedi, 22, who sources told CBS News was known to authorities. Mr. Trump was briefed on the attack before meeting Tuesday with Palestinian leader Mahmoud Abbas in Bethlehem. He spoke at a joint news conference with Abbas, saying the U.S. stood "in absolute solidarity with the people of the United Kingdom." He lamented the attack on the concert at Manchester Arena, a sports venue that was packed with about 20,000 pop fans. At least 22 people were killed, including children, according to Manchester Police. "So many young, beautiful, innocent people," said Mr. Trump, "murdered by evil losers in life. I won't call them monsters because they would like that term. They would think that's a great name," Mr. Trump repeated. "They're losers, just remember that." The U.S. president said all "civilized nations" must to band together to drive terrorism "out from our society forever." "The terrorists and extremists and those who give them comfort must be driven out," Mr. Trump said. He did not refer specifically to "radical Islamic terrorism," which he has often done in reference to similar attacks. "We cannot stand a moment longer for the slaughter of innocent people," Mr. Trump said. "And in today's attack, it was mostly innocent children." The bomber blew himself up just after Grande finished her concert and fans were starting to leave the arena. He detonated his improvised explosive device in an entrance foyer of the large sports arena. Police said he was killed. Two U.S. law enforcement sources told CBS News that ball bearings were recovered from the scene of the attack. Such items are often packed into improvised bombs to cause greater harm as shrapnel. Investigators are tracing the bomber's movements using security camera video. Secretary of State Rex Tillerson is traveling with Mr. Trump during his first trip abroad as president. In a statement, Tillerson expressed his condolences and said the U.S. was "working closely with the British government and supporting their efforts to investigate and respond to this attack." Mr. Trump tweeted later in the day: "We stand in absolute solidarity with the people of the United Kingdom." Several parents were still frantically searching for their children on Tuesday morning. Dozens of concert-goers were given shelter at a nearby hotel, including unaccompanied children, but messages on social media suggested as many as eight people were still unaccounted for, several of them teens.